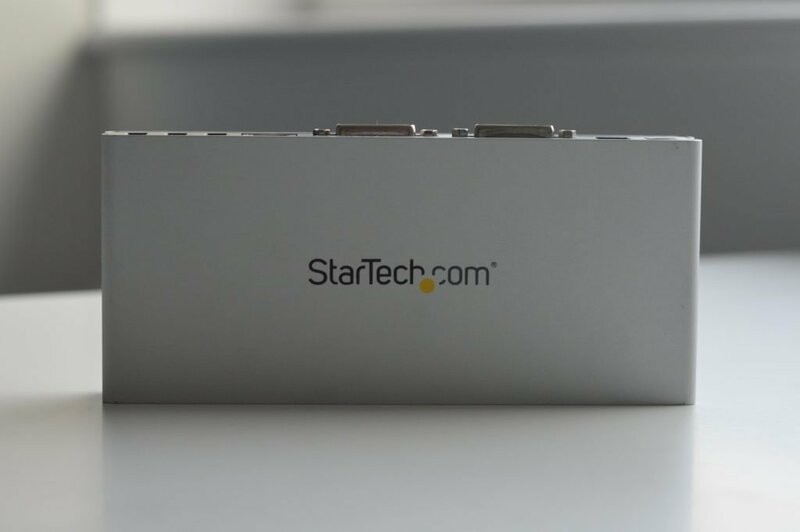 The StarTech USB3SDOCKDD, a charming name is a modern, minimalistic USB dock offers expansion with a single USB? 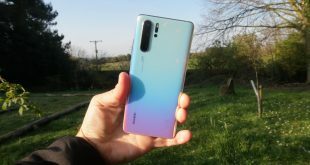 So how does it really perform and does it add value? 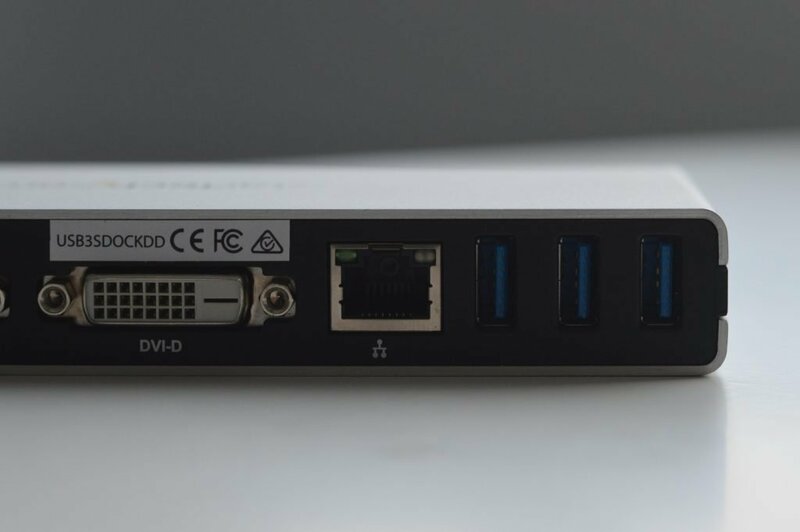 The ports on the back from left to right are: 3x USB 3.0 ports, a Gigabit ethernet port, dual DVI-D video outputs, a USB downlink connector which is in a USB B 3.0 configuration and lastly the DC power input. Around the front you have 2 more USB 3.0 ports alongside a headset jack. The USB ports on the front are faster-charging ports however I wasn’t able to find an exact speed for charging speeds on these. 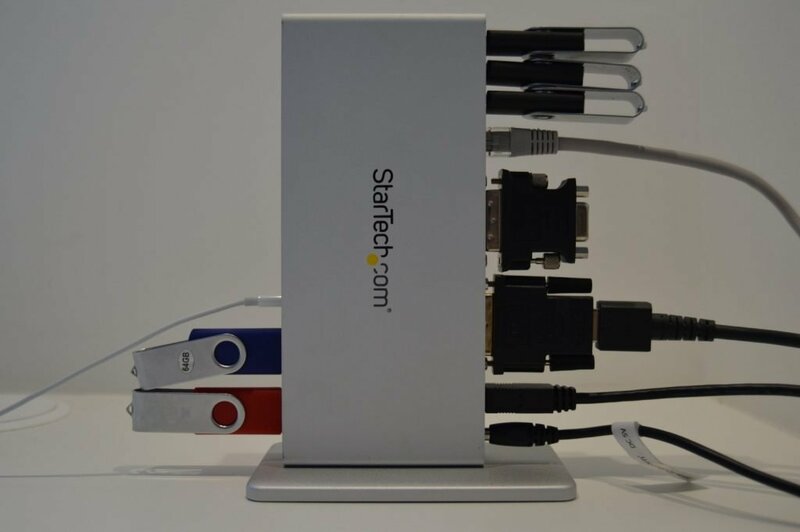 The accessories inside the box include a dock stand made of aluminium, a screwdriver to assemble the stand, a DVI to HDMI adapter, a DVI to VGA adapter, a European power adapter, a UK 3 pin power adapter and a North American power adapter. 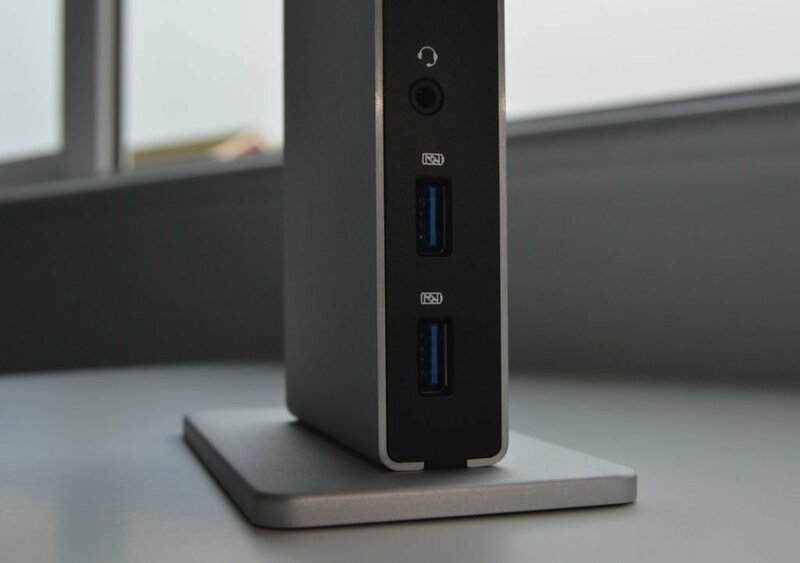 There is also the USB cable which you use to connect to the host computer. 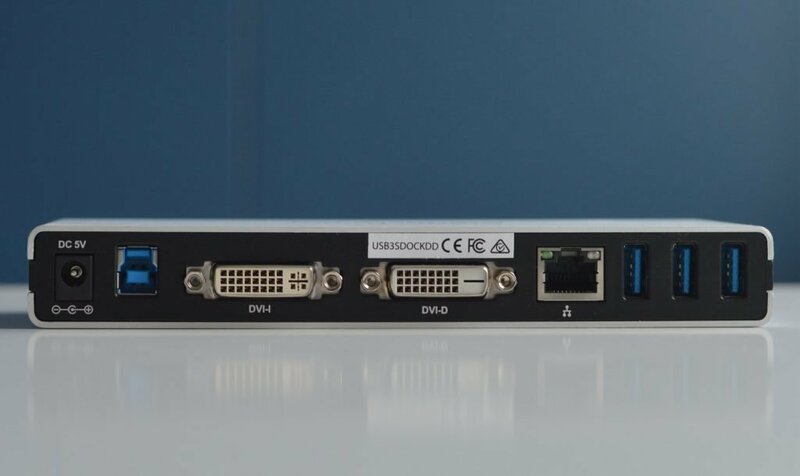 One thing that did initially annoy me was that it is unlikely that somebody would be connecting 1 monitor using HDMI and another using VGA, it would have been nice to maybe have an option of what connectors you would like in the box, either 2 DVI to VGA or 2 DVI to HDMI. I mean Startech didn’t even have to include these but since they have, the choice would have been nice. 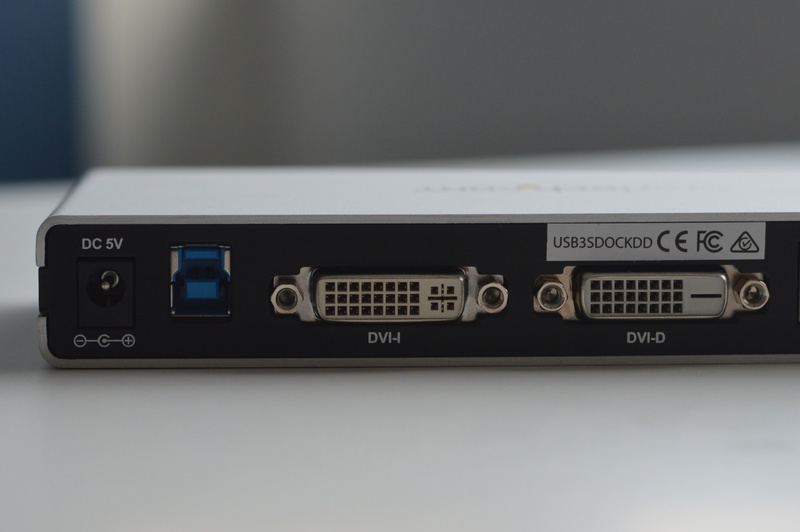 For some bizarre reason, the included DVI to VGA adapter doesn’t actually screw into the holes surrounding the DVI port whereas the DVI to HDMI port does screw in. The connectors do seem a bit of a mishmash and maybe Startech needs to re-evaluate them. The headphone port on the front is useful, especially if either your laptop or desktops USB port is in a difficult to access location. 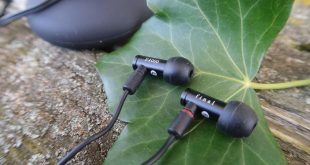 You will probably have to go into your devices audio settings and select USB audio as the output source. One thing I did notice that I lost the ability to control the volume and play/pause any audio tracks which is likely due to the extended audio conversion. I wanted to see if using the USB hub would affect the read and write speeds when using USB 3.0 drives. I first tested the speed directly on the left USB 3.0 port on my Retina MacBook Pro. The write speed for a KingDian USB 3.0 drive was 45MB/s and the read was 135MB/S. Then I tested the speeds using one of the rear USB ports on the Startech with a write speed of 40MB/S and the read was 130MB/S. This was pretty good and I could also put these small speed differences down to a margin of error and would be pretty negligible in day to day usage. The Ethernet port is rated at Gigabit speeds so I put it up against a standalone UGREEN USB to Ethernet converter which is also rated at Gigabit speeds. Firstly I tested the Startech hub which gave me a measly 1.61Mbps download and a 0.78Mbps upload which is mostly down to the horrendous speed provided by Sky over the copper telephone wires. The UGREEN gave me a download speed of 1.76Mbps and upload of 0.77Mbps. These speeds are within the margin of error and so I would say its probably a tie between the two on the wired Ethernet speed tests. The included stand does make the product feel a lot more sturdy and it avoids the product sliding around especially whilst you are inserting or removing a device. 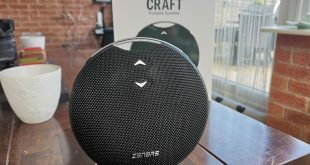 For me it starts to somehow validates it fairly high price tag which sits at around the £130 on Amazon but Startech’s website has it for £230. But prices do change frequently so please do check the links to find the updated pricing. One thing which may annoy me is the green power light on the front which is constantly on, if this device is being used in a dedicated office space then I doubt it would be that big of an issue but since my primary workspace is in my bedroom, that light could be annoying especially since Startech has not included a power button or switch to be able to control the power status of the hub and you have to remove the power cable from the hub. There is very little lag on these, however it probably won’t affect the majority of people that would be purchasing one of these since it is primarily not aimed at gamers and majority of people won’t be bothered with the practically negligible delay. I tested it out with a 4K Samsung monitor, a LG HDTV and a Apeman Mini projector and all showed almhttps://mobiletechtalk.co.uk/wp-admin/post-new.phpost identical results when I output to them using the DVI to HDMI converter since I do not have any devices natively supporting DVI or VGA to hand in order to test the functionality out using those connectors. 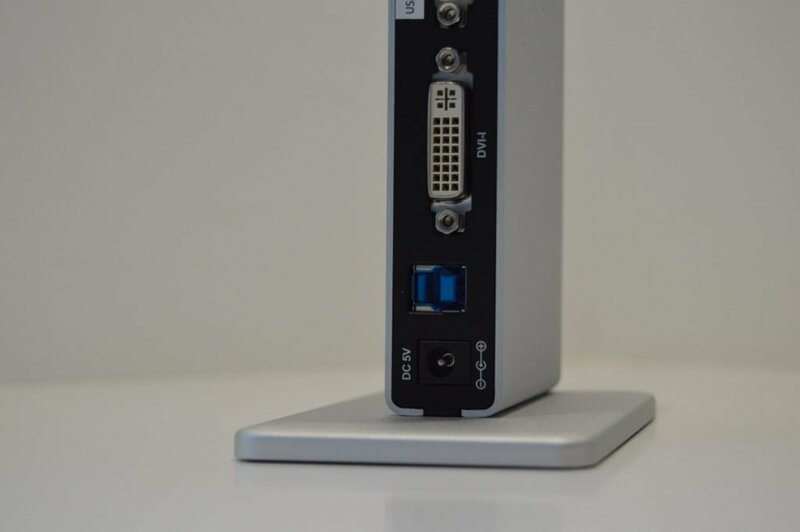 Overall, this is a compact little device which I have found to be handy especially as a one-stop shop which I could have on my desk connected to my monitor, with wired ethernet and peripherals and extra storage all being accessible with the connection of a single USB A cable. Currently, I am running a completely mobile setup with my laptop being connected to the charger at most when I am sat at my desk so it doesn’t work for my particular use case however should I choose to modify it, I would be able to have access to my peripherals with ease. 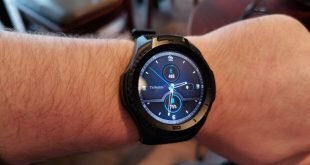 Reviewer & Partner Outreach for MobileTechTalk - Tech is a key part of my everyday life and I would probably be extremely lost without it.